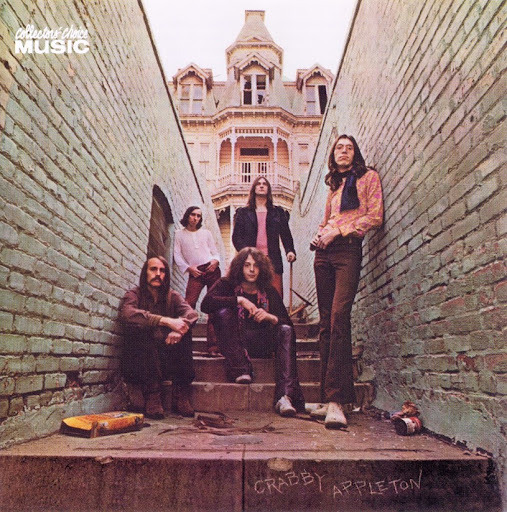 Formed by Michael Fennelly after the end of Millenium and Sagittarius, Crabby Appleton was one of the early seventies Californian rock groups signed by Elektra, along with Rhinoceros or the Wackers. Their first album was produced by Don Gallucci (from Don and The Goodtimes and Touch) and enjoyed reasonable success, allowing them to release a second album on which they used some female background vocals. Their music was characterized by Fennelly's vocals (sometimes inspired by Robert Plant) and his good lead guitar work. Their songs combine hard rock and melodic pop/rock. Fennelly later moved to England and released two solo albums: Lane Changer with Rod Argent (Epic KE 32703, 1974) and Strangers Bed (Mercury SRM 1-1043, 1975). Felix Falcon became a session musician.